The Jewel anemone (Corynactis viridis) is often a divers favourite anemone, simply for its sheer beauty and colour. It is a small anemone but often appears collectively to cover a rock face in an amazing colour. Many different colour forms can occur and it is the south west of English coast that has the best displays. This one was photographed off the coast in Plymouth. 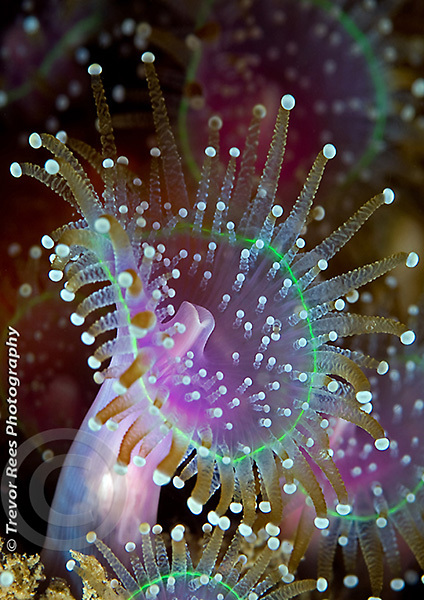 This image was Highly Commended at the BWPA awards - Close to Nature category.